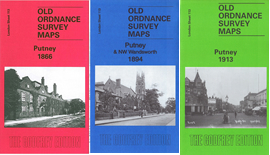 Covers West Hill, East Putney Station, Down Lodge Hall, St Stephen's Church, Training College and Royal Hospital. 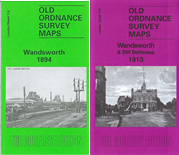 Covers Emmanuel School, St Mark's Church, St Anne's Church, St Mary's Cemetery, St John's Hill Infirmary, Ryoal Victoria Patriotic School and New Wandsworth Goods Station. 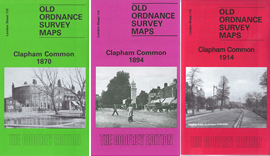 Still largely rural apart from Nunhead, Deptford, Ladywell cemeteries. 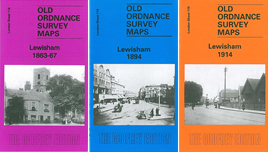 On reverse a 1" to mile map of east London, Woolwich, Dartford, Hornchurch area c1850s. 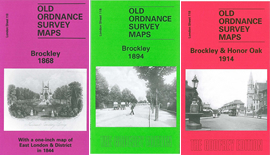 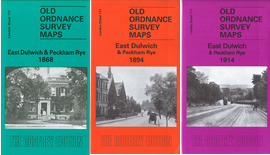 Covers Eastdown Park, St Margaret's Church, Lewisham Park, Ladywell, Christ Church and Hither Green Junction.